Quantum computers are no longer a novelty. Google just announced a 72-qubit computer. People are already working with systems from IBM and D-Wave. Related hardware from Rigetti Computing, Intel and Microsoft are under development. These futuristic systems will be much faster than servers and PCs and ultimately replace supercomputers for certain applications in the coming decades. But universal quantum computers in the vein of Windows or Linux PCs are much farther away. So, what can we do with quantum computers? It’s not clear, and the arena feels like the Wild West, with rivals taking shots at each other in a game of brinkmanship. But IBM, D-Wave and Microsoft have programs so developers can learn how to code and write applications. Early results show a tremendous speed up over classic computers, though no standard benchmarking tool is available yet. IBM’s and D-Wave’s systems are targeted at high-end applications. IBM’s working with JPMorgan Chase to find applications in financial strategies and risk management. IBM is also working with Daimler on automotive and transportation applications, which could involve artificial intelligence, fleet logistics, or possibly traffic prediction and management. Other applications being investigations are in molecular structures, chemicals and materials research. Quantum computers are designed to solve complex problems outside the realm of classic computing, said Jay Gambetta, manager, theory of quantum computing and information, at IBM Research. Simply put, it could be the kind of computer ideal to simulate and discover new particles, which can be a challenging ask for classic computers. It could be used to speed up drug discovery, which can be time-consuming. The effectiveness of quantum computers relates to the availability of the right algorithms, which is why IBM is partnering with the industry, said Bob Sutor, vice president of quantum solutions at IBM. The industries have domain expertise to develop the right algorithms for applications, Sutor said, adding that IBM is also developing algorithms that could promote widespread use of its quantum computers. Later this year, IBM will announce a 50-qubit quantum computer. D-Wave, IBM and Microsoft have toolkits for the development of quantum applications with different programming models, and knowledge of Python seems to be a must. IBM Python-based QISKit helps coders work with and study quantum states, and has scripting and compiling tools. 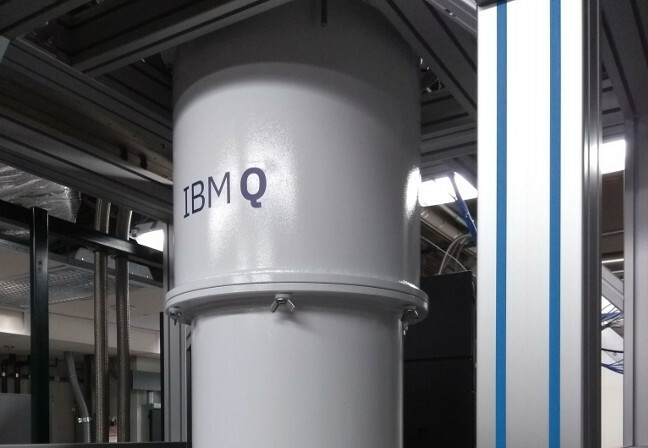 Applications made via QISKit can be tested via cloud access to a simulator called IBM Quantum Experience. D-Wave’s QBSolv requires knowledge of C/C++/Python and is geared with scientific computing in mind. Classic computers rely on conventional bits, which can be easily managed, but the same can’t be said of qubits in quantum computers. While bits can be stored only as a 1 or 0, qubits can be stored as a 1 and 0, and then multiply, giving it the explosive computing potential. However, qubits can spin out of control easily, which can wreck a computing cycle. Beyond algorithms, IBM and Google are also focusing on the quality of the qubit. An IBM superconducting circuit generates a qubit with a value in it, which retains its integrity for a specific amount of time before it degrades and becomes noise. Researchers are trying to align other tasks, such as gating, error correction, relevant qubit associations, and other tasks, in that time. Getting coherent qubits and stretching the time one can work with it adds to the stability of quantum computer. Google’s new 72-qubit computer has been developed with the same approach in mind. “In order for a quantum processor to be able to run algorithms beyond the scope of classical simulations, it requires not only a large number of qubits. Crucially, the processor must also have low error rates on readout and logical operations, such as single and two-qubit gates,” said Julian Kelly, a research scientist at Google’s Quantum AI Lab, in a blog entry. The structural programming approach to quantum applications — which relies on the right algorithms to speed up calculations — seems similar to what’s going on with machine learning, which has a learning model theme. IBM Research officials said there’s still a lack of talent to build and write applications for quantum computers, though interest is growing — more than 50 academic papers have been published on experiments with the IBM Q Experience. For now, quantum computers are still waiting for problems to solve. Take the U.S. Department of Energy’s Los Alamos National Laboratory, which is still trying figure out the magic of quantum computers. But their goal partly to stay competitive with similar programs in China and other countries. The utility of quantum computers will ultimately rely on how quickly coders get familiar with it.